Restraint alternatives are passive devices that protect a patient from harm. Occasionally patients may be in such a weakened state as to endanger themselves during daily activities. 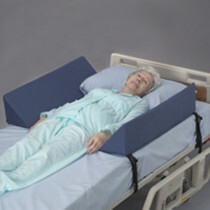 Restraint Alternatives on Vitality Medical range from mattress barriers, straps with light restraint and body positioning pillows. 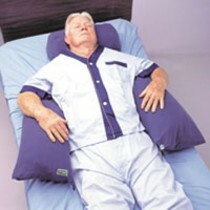 The products will help the patient maintain themselves in one area and not fall and injure themselves. Vitality Medical is proud to offer restraint alternatives to broaden the choices the consumer has. Use Soft Bed Rails for: buffering the body away from the mattress edges, keeping the patient lying down from falling off the bedside, or a soft resting area for the body or limbs. 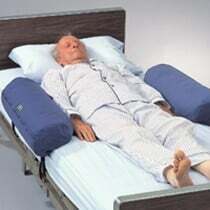 Use Positioning Pillows for: keeping the body at rest in one place, keeping the patient from slumping sideways or off the bed, and keeping the head slightly upright and comfortable.